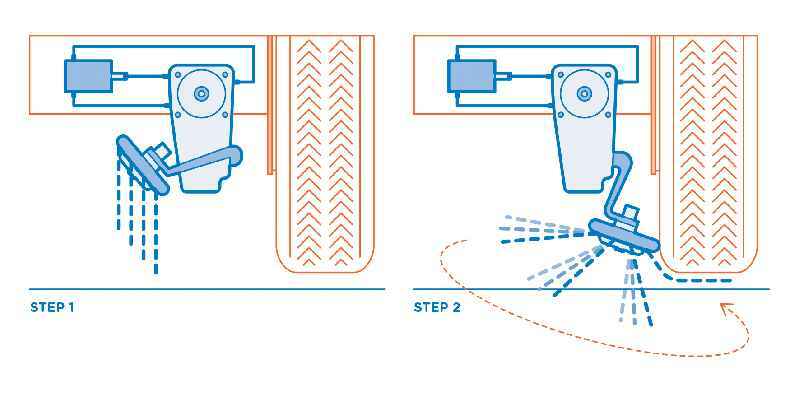 Automatic tire chains are a time-saving alternative to standard snow chains – drivers of light and heavy trucks in the courier industry, in municipal services, in the timber industry, etc. can quickly activate them from the driver’s cab and save the effort of manually fitting snow chains. Highly robust and resilient, light-weight, and almost maintenance-free: in all of these respects, ARCA IEC series wall cabinets made by Fibox from glass fiber-reinforced polycarbonate are superior to standard sheet-metal housings. Highly robust and resilient, light-weight, and almost maintenance-free: in all of these respects, ARCA IEC series wall cabinets made by Fibox from glass fiber-reinforced polycarbonate are superior to standard sheet-metal housings. User will therefore often find them to be a higher-quality replacement – for instance, in harsh and demanding indoor and outdoor applications of various kinds, such as housing telecom equipment, power distribution components, or control systems e.g. in machine engineering. Moreover, while they may cost about the same, ARCA IEC enclosures are only half the weight of sheet-steel cabinets, making them considerably easier to handle. The plastic housings with foamed polyurethane gaskets tolerate long-term exposure to temperatures between -40 °C and +80 °C. 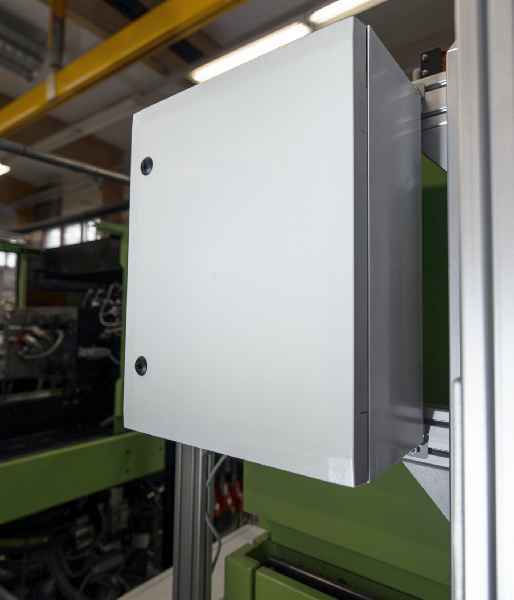 The vandal-proof enclosures maintain their high degree of IP66/67 ingress protection thanks to their top-rated IK09 impact resistance: they can take deformations, dents or dings that would seriously compromise the sealing of steel cases. Scratches are not a cause for concern either: while they can easily damage anti-corrosion coatings on other enclosures, they are irrelevant for polycarbonate housings. Holes for cable entry can be easily drilled. In addition, ARCA IEC cabinets come with protective insulation. Hence, unlike sheet-steel cabinets, they require no dedicated earthing. Fibox has announced the launch of a brand-new online configurator for enclosures and control cabinets. The tool enables individual planning of housings for control and display devices and power distribution components with custom breakouts. Users are also able to immediately request quotes. 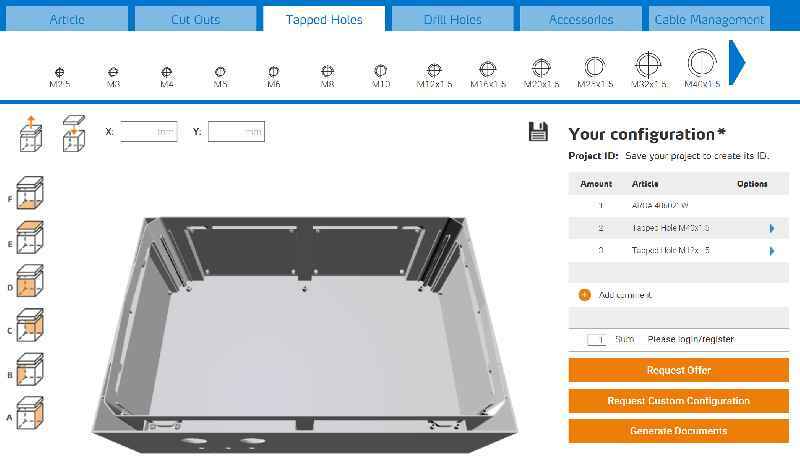 Fibox has announced the launch of a brand-new online configurator for enclosures and control cabinets. The tool enables individual planning of housings for control and display devices and power distribution components with custom breakouts. Users are also able to immediately request quotes. All product series in the entire extensive Fibox program are integrated in the configuration software. Users can either directly select their preferred series or specify the enclosure size and material. The enclosure is visualized as a 3-D model. Breakout openings can be positioned by drag and drop or by entering coordinates. The configurator suggests matching accessories, for example cable glands for threaded holes. Additional installation components such as mounting plates and rails sized for the specified enclosure are also presented and can comfortably be dragged into the parts list. Short mouseover texts explain the available options; further information is readily available via direct links to the product catalog. After registration, users can save and further process their configurations. A download link for technical drawings and CAD data (file formats: PDF and DXF) will be sent via email. The enclosure configurator is available at the company website www.fibox.com in English and German, with additional language versions to follow. Finnish enclosure manufacturer Fibox has laid out about 3 million EUR for the expansion of production facilities at the Lempäälä site. In order to address a massive growth of local customers and to allow for shorter supply chains, the investment will more than double the existing production capacity. Finnish enclosure manufacturer Fibox has laid out about 3 million EUR for the expansion of production facilities at the Lempäälä site. In order to address a massive growth of local customers and to allow for shorter supply chains, the investment will more than double the existing production capacity. Construction began in October 2017 and will take two years until the final scheduled phase is set to be concluded. The implementation of new and unique equipment and automation solutions will enable Fibox to ensure high quality and long-term supply capabilities, and will also significantly reduce the number of material transports. This will considerably lower the CO2 footprint of Fibox products, in keeping with the company’s efforts towards making production more environmentally sustainable. In addition, the expansion will free up capacities at plants in China and Poland, which are to be used for the production of electrical and automation systems. This is the second investment commitment announced this year following the expansion of Fibox‘ injection-molding capacities in early 2017. 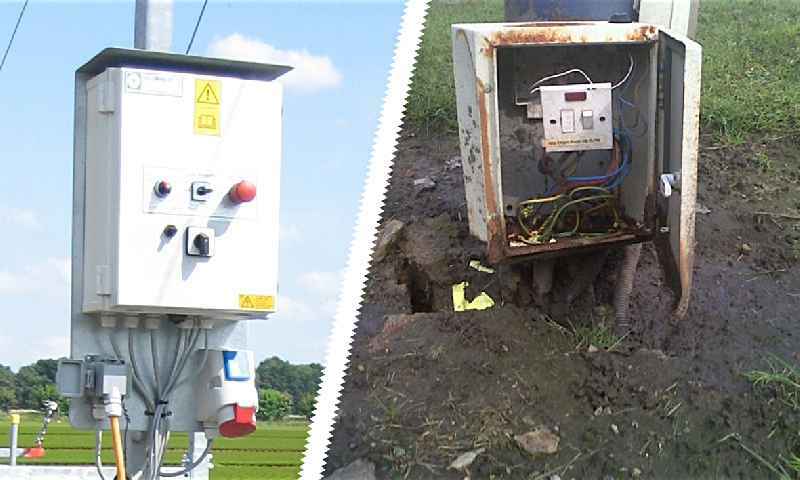 Even in a hot or cold spell, or if temperatures fluctuate, plastics enclosure specialist Fibox ensures that installations remain safely protected. Ventilation devices are a simple and efficient means for temperature and pressure compensation, while providing good basic ingress protection up to IP44. Even in a hot or cold spell, or if temperatures fluctuate, plastics enclosure specialist Fibox ensures that installations remain safely protected. Ventilation devices are a simple and efficient means for temperature and pressure compensation, while providing good basic ingress protection up to IP44. The rating can be increased to IP68 with a pressure equalizer plug. Both solutions effectively prevent condensation. If passive heat dissipation is insufficient due to considerable thermal loss of installed devices or high ambient temperatures, fans can be installed. Notably, ARCA IEC polycarbonate enclosures allow for particularly easy fitting with installation openings. Fibox supplies the enclosures with adequate openings on request. 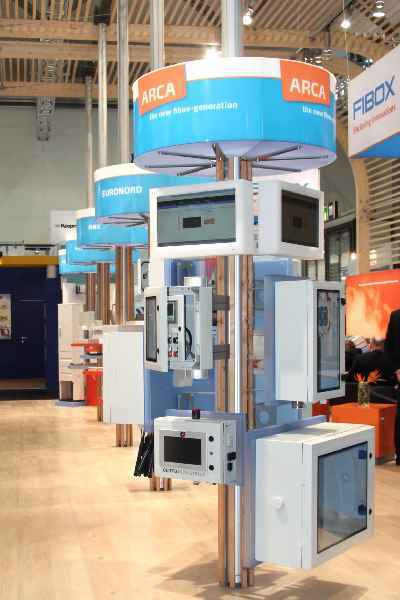 A heating system can be installed for use in cold environments. Robust ARCA IEC cabinets from Fibox provide comprehensive protection for installed components and allow for very easy and inexpensive machining. Up to IK10 impact resistance is ensured by the enclosure design with reinforced corners and doors and by the special glass-fiber-reinforced polycarbonate material. Robust ARCA IEC cabinets from Fibox provide comprehensive protection for installed components and allow for very easy and inexpensive machining. Up to IK10 impact resistance is ensured by the enclosure design with reinforced corners and doors and by the special glass-fiber-reinforced polycarbonate material. By reducing the fiber ratio to 10%, Fibox has eliminated the disadvantages occurring with other such materials. The polycarbonate enclosures can be easily customized with conventional tools, with negligible wear. Chips and debris material do not need to be suctioned off while working. 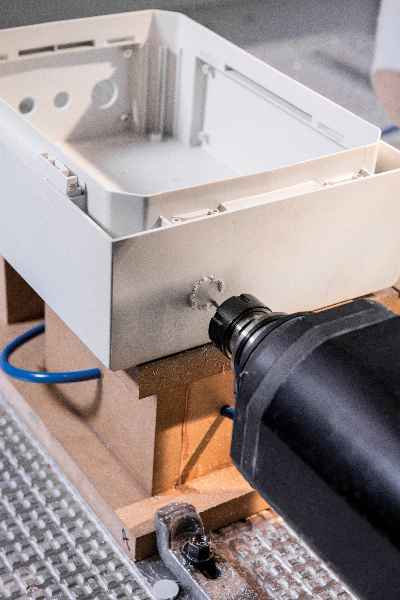 In other enclosure materials, threaded holes can lose their function under strain. By contrast, ARCA IEC enclosures enable long-time durable threads up to M25 and M32, providing permanently strong hold for cable gland fittings. They do not suffer from blooming either – the well-known effect of decreasing surface quality in FRP polyester cabinets after a few years in the open air, which is also associated with the release of glass dust. On the contrary, the polycarbonate enclosures have a long-lasting smooth surface with excellent UV resistance. 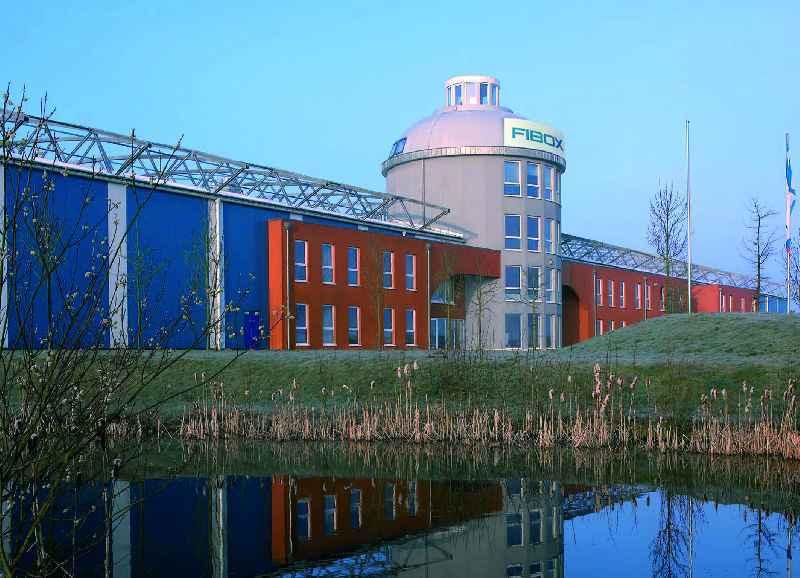 Enclosure manufacturer Fibox is celebrating its 25th anniversary. Fibox Oy Ab, previously an integrated operation in the long-established Finnish company Fiskars, became an independent venture on 1 December, 1991. 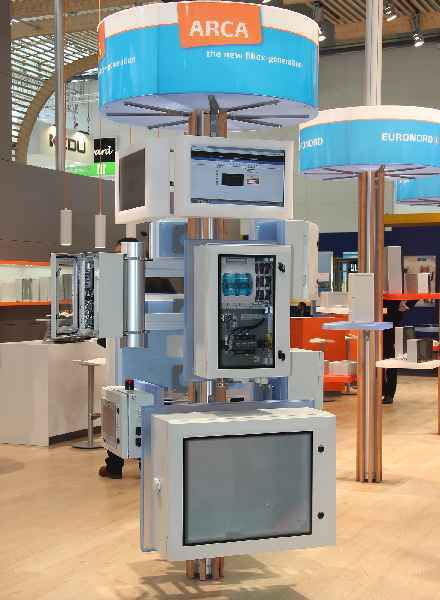 Its business revolving around electronics enclosures and cabinets made of robust plastics has been very successful ever since – as evidenced by its continuous expansion. Today, the manufacturer has subsidiaries in more than 15 countries, manufacturing facilities in Finland, Germany, South Korea, Poland, and China, as well as a global sales network. All Fibox companies have a quality certification according to ISO 9001:2008. The standard enclosure range includes more than 1,000 models made of polycarbonate, ABS, polyester, and aluminum, for outdoor and for indoor use. The cabinets feature high ingress protection ratings, high impact resistance classes, and various international certifications. They are complemented by a wide range of accessories. Furthermore, Fibox offers a flexible and efficient implementation of bespoke solutions and customization services to suit customer needs. At the electronica exhibition in Munich, Germany, Fibox (hall B1, stand 355) will showcase polycarbonate electronics enclosures. The ARCA IEC enclosure series is easy to handle and install and achieves excellent efficiency over the entire product life cycle. The Euronord3 series of multipurpose enclosures from Fibox now also comprises models with a smoked gray see-through cover. Users can thus check the status of installed devices without having to open the enclosure. The enclosures look sharp with a matte finished frame and transparent smoked gray cover screw plugs. The Euronord3 series of multipurpose enclosures from Fibox now also comprises models with a smoked gray see-through cover. Users can thus check the status of installed devices without having to open the enclosure. The enclosures look sharp with a matte finished frame and transparent smoked gray cover screw plugs. The cover features a recess for easy, durable customization, for example, with keypads. Just like the entire Euronord3 range, the new models feature the time-saving quick-locking screw mechanism with only a quarter turn for a firm hold. Nine sizes from 120 x 80 x 55 mm to 400 x 360 x 151 mm provide ample space for the installation of terminal blocks, sensors, or electrical components on DIN rails or mounting plates. 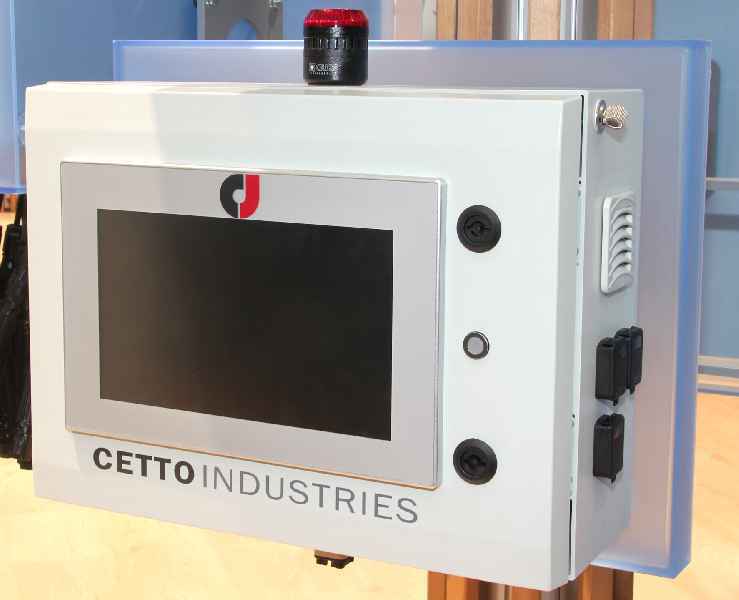 All enclosures achieve high ingress protection ratings: IP65 or IP66/IP67 depending on the size. Manufactured from acrylonitrile butadiene styrene, they permanently withstand temperatures from -40 °C to +60 °C. For even hotter environments, polycarbonate models are available with a temperature tolerance from -40 °C to +80 °C, and heat spikes up to +120 °C. The ARCA IEC enclosure series from Fibox is designed for flexible handling in any and all on-site conditions. The various wall mounting options are a case in point. The polycarbonate enclosures feature double-walled corners with mounting holes located outside of the IP66 protected installation space. The ARCA IEC enclosure series from Fibox is designed for flexible handling in any and all on-site conditions. The various wall mounting options are a case in point. The polycarbonate enclosures feature double-walled corners with mounting holes located outside of the IP66 protected installation space. These enable direct wall attachment with screws that cannot be accessed from the outside. Alternatively, Fibox offers stainless steel wall mounting lugs that resist adverse environmental conditions. The threaded lugs can be fastened with a screw from the inside of the enclosure. The wall mounting lugs available in two depths of 10 and 40 mm also enable hidden routing of cables behind the cabinet. In addition, Fibox offers pole mounting sets (100-300 mm diameter) for all 14 cabinet sizes from 200 x 300 x 150 mm to 800 x 600 x 300 mm. 50 years ago, Fibox introduced the EK series enclosure which has since become a tried-and-tested mainstay in countless installations. EK polycarbonate enclosures provide a long service life and robust mechanical properties. For versatility of application and reliably high quality, customers pick this series time and again. 50 years ago, Fibox introduced the EK series enclosure which has since become a tried-and-tested mainstay in countless installations. EK polycarbonate enclosures provide a long service life and robust mechanical properties. For versatility of application and reliably high quality, customers pick this series time and again. 13 sizes up to 760 x 560 x 250 mm can optionally be installed as a single unit or supplied with flange openings that enable highly adaptable modular power distribution installations. The basic version comes with a particularly cost-efficient screw-on cover. Alternatively, lockable variants with a hinge door and a wide opening angle are available. The enclosure body is injection-molded complete with numerous mounting pods on the inside for easy, time-saving installation of components. The cover is manufactured with the PUR gasket in a single step; this ensures effective protection in indoor as well as outdoor installations. The EK range includes a large selection of accessories such as base connectors for assembling multiple enclosures, mounting plates, and DIN rails in various sizes, busbar installation sets, and air conditioning components. Fibox also implements bespoke modifications and makes enclosures in custom colors. 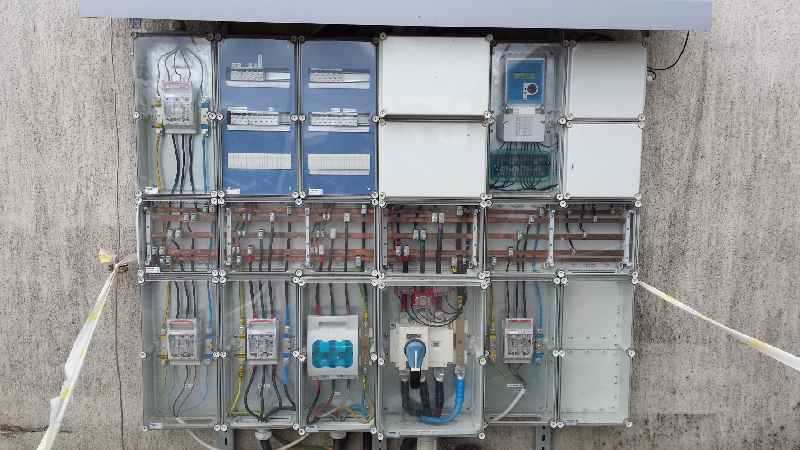 Plastic cabinets are highly suitable for establishing long-lasting enclosing solutions for electrical installations in the outdoor area. Fibox offers an unparalleled variety of robust, weather-proof polycarbonate enclosures. The products are priced to offer an equal alternative to standard cabinets made from steel sheet. Plastic cabinets are highly suitable for establishing long-lasting enclosing solutions for electrical installations in the outdoor area. Fibox offers an unparalleled variety of robust, weather-proof polycarbonate enclosures. The products are priced to offer an equal alternative to standard cabinets made from steel sheet. Customers benefit from various advantages especially in the long term, the principal one being the complete elimination of any corrosion issues. Protective treatments are not required, there is no risk of scratches, and no costly maintenance. Instead, once properly deployed, installations in polycarbonate enclosures can remain unattended for years without concern. They are easier to handle, often weighing only half of what same-size sheet metal housings weigh. Cable breakthroughs can be implemented with an ordinary drill in about a third of the time it would take with sheet steel. Polycarbonate has excellent ratings across the board for UV resistance, chemical resistance, and flammability. High manufacturing quality ensures that enclosures from Fibox have a lifespan of more than ten years without visible changes to the material. The actual service life in practical applications is even considerably longer. 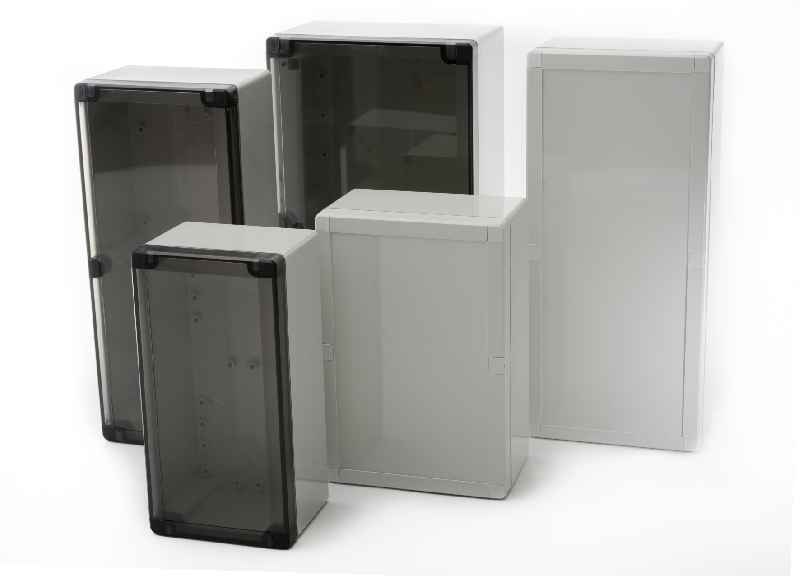 While gaskets on metal cabinets can be compromised by dents or warping of the door, enclosures made from glass-fiber reinforced polycarbonate retain their original high ingress protection ratings even under heavy mechanical stress – Fibox offers numerous models with impact resistance ratings up to IK10 and IP66 ingress protection. Currently, available sizes range up to 800 x 600 x 300 mm. All models are optionally available with transparent doors – polycarbonate as a material allows for perfectly clear, unbreakable, scratch-resistant panes.